I’ve been spending a lot of time in home offices over the past few months. Call me crazy, but I loooove sorting paperwork. Perhaps this passion grew from my 20 plus years as an Executive Assistant / Administrator? There is something cathartic about sorting documents chronologically and by document type that I really enjoy. However, I know a lot of people find paperwork overwhelming. There is often so much of it they don’t know where to start. I love to sit with people and sift through it all (1 piece of paper at a time, if need be). 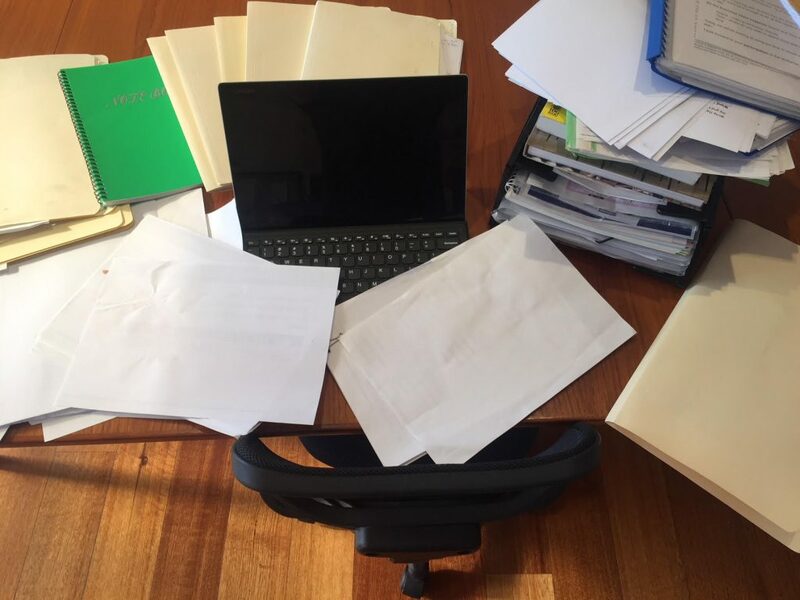 We set up a new system for new incoming paperwork and then tackle the backlog having a good think about what you need to keep and what you can let go of and set up a filing system for what’s left. People feel great relief and more in control of their office once their paperwork is sorted.